Interview à NPR (National Public Radio), le « Radio France » américain, sur la recrudescence d’un « nouvel antisémitisme » dans les quartiers populaires. J’y explique que, loin des lectures essentialistes qui prévalent aujourd’hui, consistant à expliquer l’antisémitisme par « l’islam » en général, celui-ci – dont l’essor est indiscutable – me semble davantage être le fruit de la mécanique du ghetto, des ressorts de défiance et de haine qui s’y propagent depuis des décennies. Je crois profondément que ce n’est pas en divisant les Français et en érigeant les communautés les unes contre les autres que l’on fera reculer la haine, mais en créant des liens, en bâtissant des passerelles. In late March, thousands of people took to the streets of Paris to protest the murder of an elderly woman whose killers may have been motivated by anti-Semitism. The silent march started at Place de la Nation and ended at 85-year-old Mireille Knoll’s apartment in a working-class neighborhood in the east of the city. That’s where her partially charred body was found with stab wounds on March 23. Like many of the marchers, Sophie Gorins is not Jewish. But she wore a yellow Star of David pinned to her coat with the word « target » on it. Gorins was referring to the torture and killing outside Paris of 24-year-old Ilan Halimi in 2006 by a gang that tried to extort a ransom from his family. The gang leader, whose family had immigrated from Ivory Coast and settled in the Paris suburbs, is in prison. 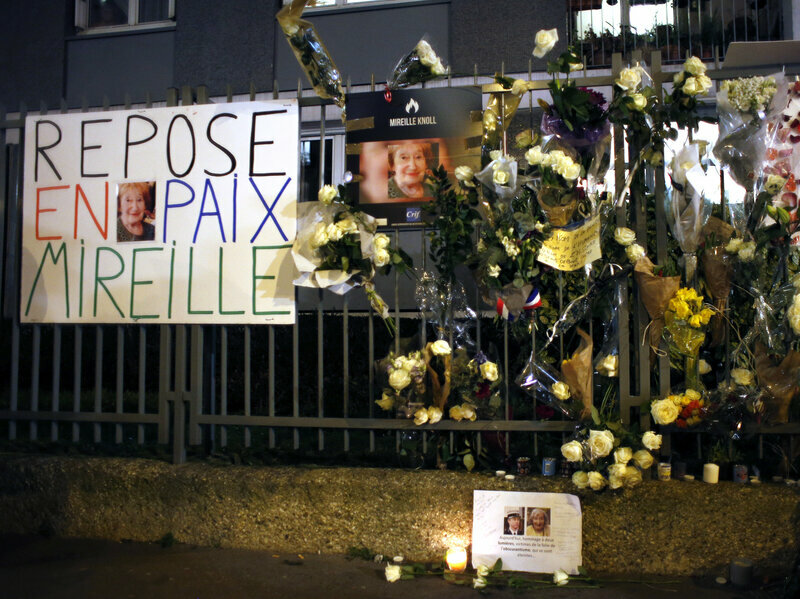 Knoll’s murder is the latest in a decade-long string of killings in France that have caused increasing alarm in the country’s Jewish community — and beyond. Other Jewish victims of violence in recent years include a teacher and three students who were killed in the southern city of Toulouse in 2012 by radical Islamist Mohammed Merah. In 2015, four people were shot dead in a kosher supermarket. After Knoll’s death — which followed the murder of another Jewish woman last year in the same Paris neighborhood — some have been calling for « the truth » to be spoken about the « new anti-Semitism. » As the country engages in soul-searching about the violence, many have laid blame for that anti-Semitism on French Muslims. But others argue the picture is more complex and its causes deserve serious attention. Flowers and placards are displayed outside Knoll’s apartment in Paris in March. Knoll’s death has taken on national importance. It was met with strong criticism. The manifesto « not only reveals issues troubling French Jews, but also prejudice against Islam, » French sociologist Michel Wieviorka told the France 24 news channel. Calling today’s anti-Semitism « Muslim anti-Semitism » is turning the problem around, says Karim Amellal, a French-Algerian academic who teaches courses examining inequality and multiculturalism at France’s prestigious Paris Institute of Political Studies, known as Sciences Po. 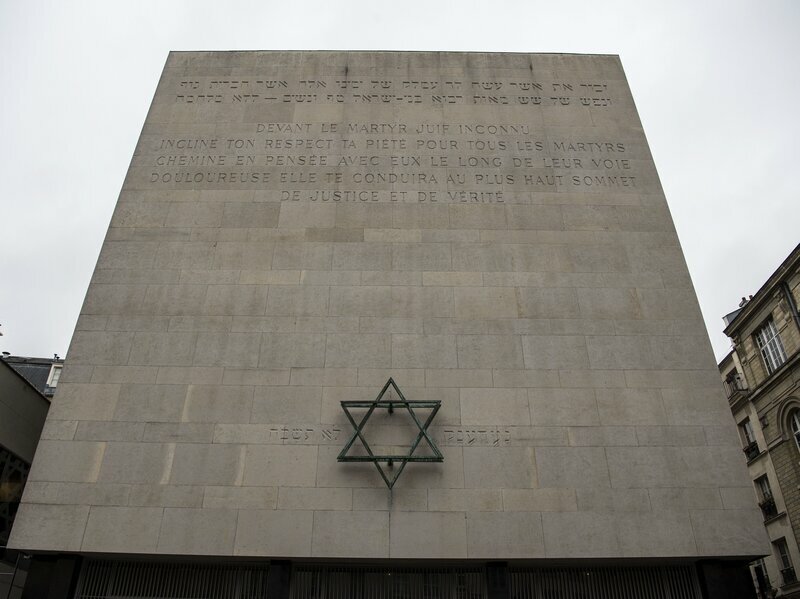 The Shoah Memorial in Paris. Education teams from the memorial who visit suburban schools to teach the history of the Holocaust have added a broader discussion of racism and its malignant effects. Amellal runs a website called What the Fake that tries to debunk conspiracy theories and fight against radicalization. The 39-year-old academic has been tasked by Macron with leading a government-sponsored effort to counter racism and anti-Semitism on the Web in France. Amellal says in cut off and isolated neighborhoods, where generation upon generation seems trapped, there’s a real sentiment that they’ve been humiliated and abandoned by the French republic. The anti-Semitism is strong because young people are looking for a scapegoat, he says. And they identify with Palestinians. The Middle East conflict reverberates strongly in France, which is home to the largest Muslim and Jewish communities in Europe. French Rabbi Michel Serfaty has been fighting anti-Semitism since it first saw a resurgence in France around the time of the second Palestinian intifada in 2000. 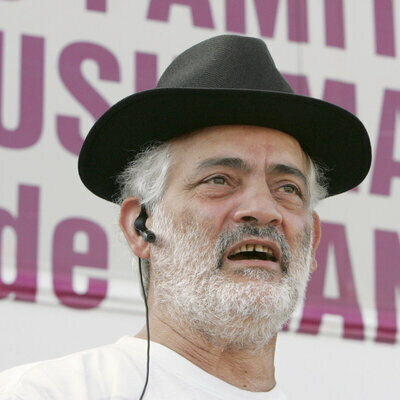 Serfaty, who was born in Morocco, founded the Judeo-Muslim Friendship Alliance, which promotes interfaith dialogue and understanding. Along with an imam and Muslim employees, he goes to the source of what he says is the most virulent anti-Semitism — the low-income neighborhoods with large Muslim populations that ring large French cities. Serfaty says in the troubled neighborhoods where he works, known as les banlieues,hatred of Jews starts at a very young age, even though most people living there have never met a Jewish person. Serfaty says while his team’s efforts at deconstructing stereotypes and fighting prejudice have met with success, his work is just a small part of what needs to be done. Jacques Fredj, the director of the Shoah Memorial, a Holocaust museum in Paris, says after the Charlie Hebdo terrorist attacks of 2015, the museum changed the way it works and reaches out to young people. The attacks were carried out largely by young French and Belgian men of Muslim origin living in public housing with high immigrant populations. The memorial’s education teams, which visit suburban schools, used to just teach the history of the Holocaust. But now they include a broader discussion of racism and its malignant effects. They educate students, for instance, about the genocide of Rwanda’s Tutsi minority in 1994. « We show kids that conspiracy theories, prejudices, propaganda and hate speech, it’s all very old. What’s new today is the way it’s delivered — by the Internet, » Fredj says. Fredj says Holocaust denial is virtually nonexistent in France because of the strenuous teaching of the Holocaust throughout the country’s public school curriculum. « What we are confronted with in these young people is not ideology but ignorance, stereotype and prejudice, » he says. Fredj says that same ignorance and prejudice is tough to fight, because people live very much within their own communities in French society. Samia Essabaa, one of the people who took part in the silent march for Knoll, teaches in a technical high school in a predominantly Muslim suburb of Paris. Essabaa says she has never encountered hostility or resistance when teaching the Holocaust, though she says there are many stories of other teachers having difficulty confronting this subject in classrooms within Muslim communities. « When I first speak of the [Holocaust], they say, ‘Oh, that’s not my history, that’s the Europeans’ business,’ » she says. « But I tell them no, it’s yours too. Because your families come from the Maghreb and they tried to persecute Jews there too, and we saved and hid them. » The Moroccan king protected Jews during World War II. French Muslims and Jews have a lot in common culturally and historically, says Essabaa. Many French Jews are Sephardic and come from communities that once lived across Algeria, Morocco and Tunisia. Many arrived in France in the 1960s, fleeing the aftermath of the Algerian war of independence. Muslim guest workers, who came to France in the 1950s and 1960s, began bringing their families in the 1970s. Essabaa says she tries to build on the common roots. Essabaa takes her classes to visit the Shoah Memorial in Paris and beyond — to the Holocaust Museum in Washington, D.C., and even to Auschwitz. She says prejudice can be conquered through education, but students must get out of the classroom and away from everyday influences. This year, Essabaa says, her students were so moved by the story of a Tunisian Jewish boxer who died at Auschwitz that they did a special project about him. Sciences Po professor Amellal feels strongly that the best way to combat anti-Semitism is to break up the low-income neighborhoods where prejudice or intolerance can incubate. He says there needs to be more mixing of social classes and an increase in interfaith dialogue. People are ignorant of each others’ religions and beliefs in France, he says. In his view, secularism has become too dogmatic. Many young people of North African origin now look to religion to construct their identity, says Amellal. And they should be able to discover Islam in a positive and peaceful way, he emphasizes. But instead, religion — especially Islam — is seen in France as something that should be forbidden in the public space. France passed a law in 1905 separating what many saw as the heavy hand of the Roman Catholic Church from the workings of the government. Today the separation of church and state includes all religions. Amellal was heartened by a recent speech Macron gave to Catholic bishops after meeting with Jewish and Muslim leaders. Macron hinted at being more open toward religious culture in public life and said the French republic is secular, but French society needs spirituality. Fredj of the Shoah Memorial says all people have to be able to find their place within the French republic. Fredj believes Muslims have yet to find their place in France.